1879. 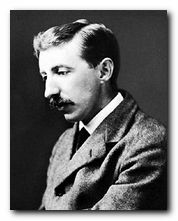 E.M.Forster (Edward Morgan) born in London. His father dies the following year. 1887. Inherits £8,000 from his great-aunt Marianne Thornton. 1890. Educated at private schools in Eastbourne and Tonbridge Wells, where he was very unhappy and developed a lasting dislike of the public school system. 1897. Studies classics and history at King’s College, Cambridge. Influenced by philosopher G.E. Moore and the notion that the purpose of life is to love, create, to contemplate beauty in art, and to cultivate friendships. Becomes a member of the Apostles, which was later to form the nucleus of the Bloomsbury Group. He was a contemporary of Leonard Woolf, Lytton Strachey, Thoby Stephen, and Maynard Keynes. 1901. One year’s tour of Italy and Austria with his mother. Begins writing seriously. 1902. Teaches at the Working Men’s College and Cambridge Local Lectures Board (extra-mural department). 1904. Begins contributing stories to the Independent Review, launched by a group of Cambridge friends, including G.M.Trevelyan. ‘The Story of a Panic’ his first published work. 1905. Where Angels Fear to Tread is published. Spends some time in Germany as tutor to the children of Countess Elizabeth von Arnim (first cousin of Katherine Mansfield). 1906. Works as a private tutor to Syed Ross Masood, a colonial Indian patriot, for whom he develops a passionate attachment. 1907. The Longest Journey published. Forster is a member of the Bloomsbury Group and a friend of Virginia Woolf, Leonard Woolf, Lytton Strachey, and Roger Fry. 1908. A Room with a View. E.M.Forster: A Life is a readable and well illustrated biography by P.N. Furbank. This book has been much praised for the sympathetic understanding Nick Furbank brings to Forster’s life and work. It is also a very scholarly book, with plenty of fascinating details of the English literary world during Forster’s surprisingly long life. It has become the ‘standard’ biography, and it is very well written too. Highly recommended. 1910. Howard’s End: his first major success, which established his reputation as a writer of importance. 1911. Publishes a collection of rather light and whimsical short stories, The Celestial Omnibus. 1912. Visits India and travels with Masood. Begins writing A Passage to India. 1913. Visits Edward Carpenter (an early evangelist for gay rights) and as a result begins writing Maurice, a novel about homosexual love which is not published until 1971, after Forster’s death. 1915. Begins working for the Red Cross in Alexandria. 1921. Second visit to India. Becomes private secretary to the Maharajah of Dewas. 1924. A Passage to India widely acclaimed. But gives up writing novels because he felt he could not write openly and honestly about sexual relations. 1927. Elected Fellow of King’s College, Cambridge. 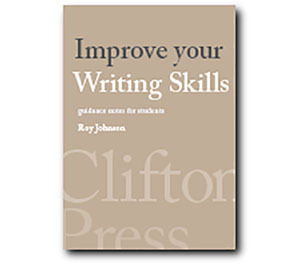 Gives the Clark lectures which are published as Aspects of the Novel. 1934. First president of the National Council for Civil Liberties. 1936. Abinger Harvest: a collection of his essays and reviews. 1945. Death of his mother. Elected Honorary Fellow at King’s and takes up entitlement to live there. 1947. Lecture tours in the United States. 1969. Awarded the Order of Merit. 1970. Dies in the home of friends.